ABOUT – Westfield Auto Body Inc.
We understand that being involved in an accident, or simply having car troubles, can be stressful. That’s why we make the process of getting it fixed as simple as possible. 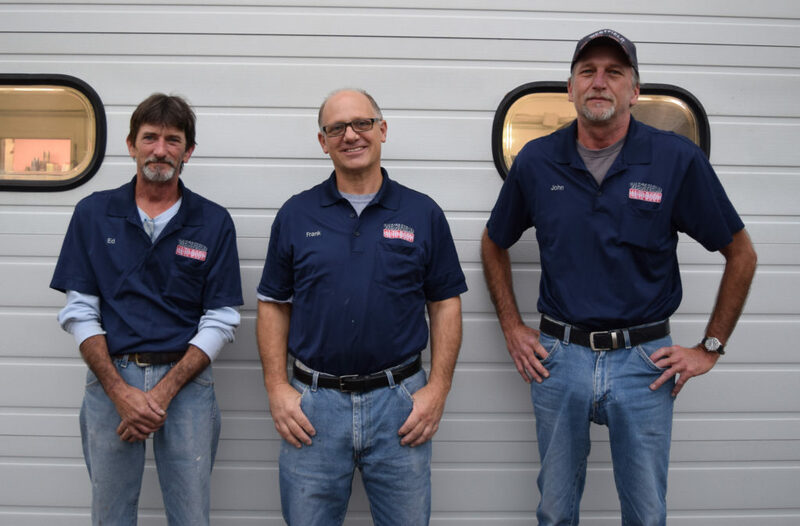 With decades of experience, the Westfield Auto Body crew has the experience and expertise to make sure your vehicle comes out looking brand new. Our mission and goal are to ensure customer satisfaction with your future in mind. You can leave your latest auto body job to us! Frank has been working in auto body for over thirty years and took over the business from his father in 2002. Frank does all the estimating and is a licensed independent adjuster as well as working in the shop repairing cars. John has been working for Westfield Auto Body for over fifteen years. John is our ‘second in command’ and has over 30 years of experience working on foreign and domestic cars. Ed has also been a longtime employee at Westfield Auto Body and has many years of experience working on vehicles. Lilian is Westfield Auto Body’s office manager and your first point of contact! Lilian is responsible for ordering parts and putting together invoices among other office duties. Westfield Auto Body has the experience and credentials to get your vehicle up and running again. Send us a message and we’ll see what we can do for you! Excellent workmanship, great service, very knowledgeable and always helpful. On top of all this you get FRANK, what more could you want in a body shop. I highly recommend Westfield Autobody for all your repair needs. As an all too frequent customer of Westfield Auto Body over the years, the Underwood’s have always been extremely happy with the job done by Frank and the crew! Excellent work, excellent customer service. I highly recommend this company!